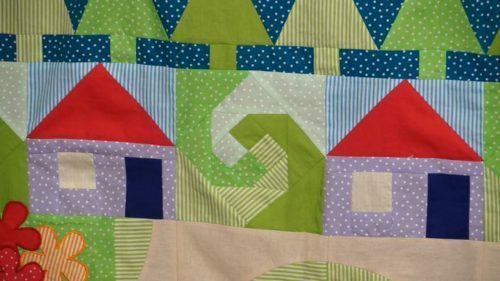 This is a very simple block pattern, which uses very little feature fabric – is great with the Lipari set from Oakshott- and would work well as a scrap quilt too. 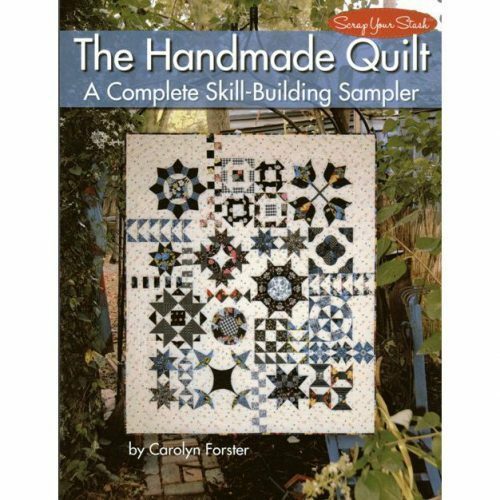 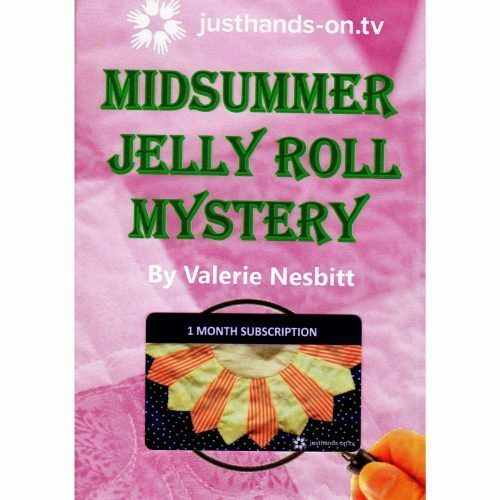 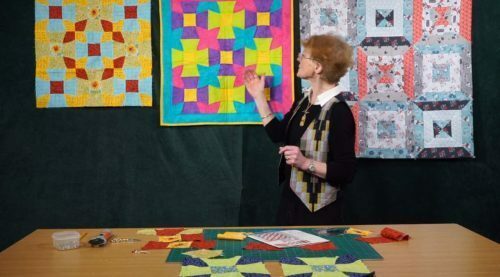 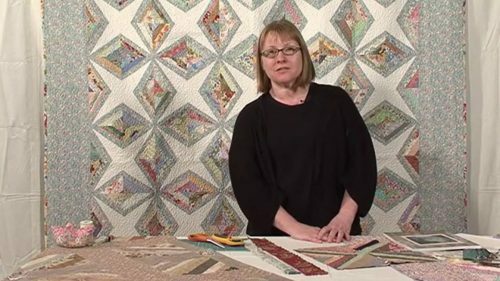 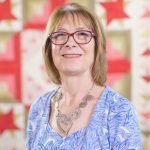 Valerie guides you through the making of a 12 inch single block which you can then use to create a small 9 block quilt, or indeed a 16block quilt as she did with the Lipari set of fabrics from Oakshott. 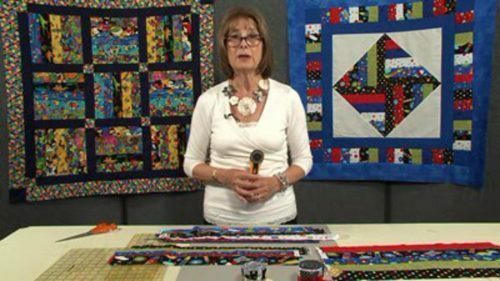 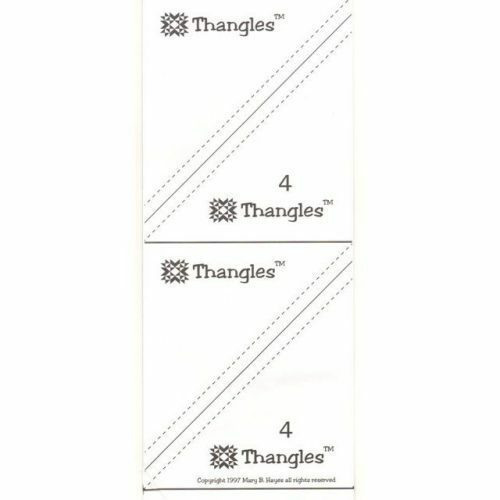 To create the half-square triangle units Valerie shows you two methods; either using the 4″ Thangles, which are simple to use on the 4.5 inch strips because you just sew on the dotted lines and then cut on the solid lines; or by again using the 4.5 inch strips of fabric and the EZ Angle triangle template – do pay attention when sewing your seam allowance on this. 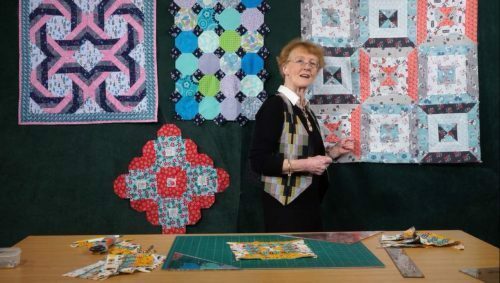 Both these methods are using the same size strip of fabric that you want for the centre square – so no maths! 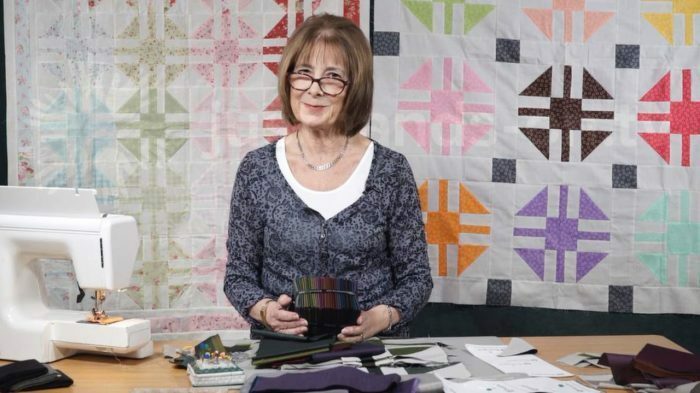 You can then add sashing of your choice – Valerie chose to add corner stones to give her two quilts a modern look. 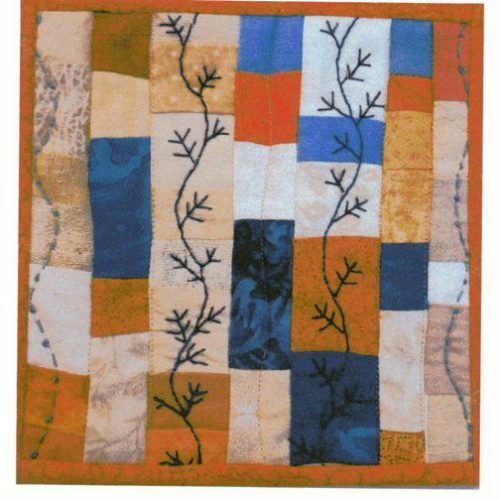 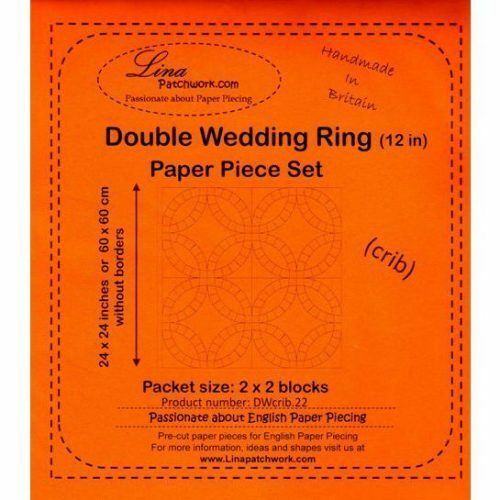 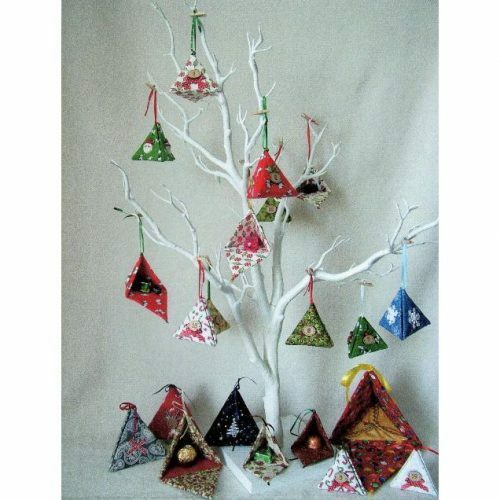 The scrap version was made with a 9 inch block and no sashing – so another design option for you.